Gnarly Dudes are a collective of five potters: Svend Bayer, Charles Bound, Nic Collins, Jon Fellows and Chuck Schwartz, who first staged an exhibition of their English anagama-style wood-fired work on Dartmoor, Devon, in 1997. Since then, the phrase Gnarly Dudes has come to be used to describe not just the potters, but also as a reference to the style of 'gnarly' pottery that they make. This is a style that I didn't really understand until I moved to the West Country, and began to learn about the traditions of country pottery, and the techniques used in different types of firing. Now though, these are the very pots that inspire me most, and this type of work feels very connected to the area in which I now live. A couple of weeks ago the Gnarly Dudes got together again and held Gnarly Dudes Revisited - a new exhibition of fresh work, made especially for the event. The show celebrated the way each of the men's work has progressed over the past eighteen years (Jon Fellows now works with wood, for instance), and how they all still choose to use techniques and processes that lend themselves to creating extremely rugged and honest pieces. For firing pottery, the Gnarly Dudes favour anagama-style wood-fired kilns, which are based on the medieval Japanese kilns used mostly at Bizen and Shigaraki. The kiln is usually a tunnel and the heat is drawn over the stacked pots, allowing smoke, ash and embers to freely come into contact with them. The pots are minimally decorated before firing, instead letting the smoke, ash and embers interact with the clay to produce beautiful, natural gradations of colour and finish. 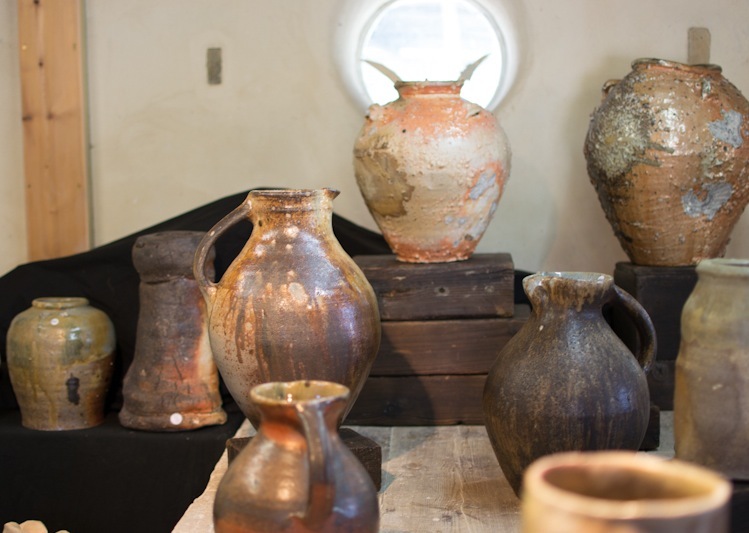 Placement of the pots in the kiln is critical, as is the selection of wood and clay. 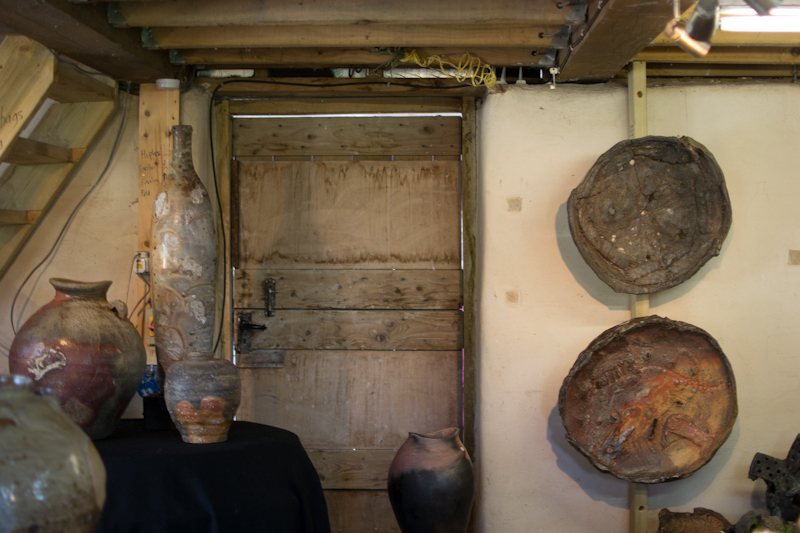 At the event I was struck not just by the beautiful and rambling nature of Nic Collins' Barn Pottery, where the exhibition was held, but also by the majestic nature of the pots. They all have highly tactile surfaces that beg to be touched and many different natural colours and patterns pooling on the surface or in the glaze. Pots were displayed indoors and out, and there was also an abundance of pots just strewn about, waiting to be sorted or sold. It was a quiet reminder of just how much practice is required to become adept at this art. Several weeks after seeing this exhibition, I'm still thinking about the work that I saw there a lot. That is probably the mark of a great exhibition, one that continues to influence you, long after you have left it behind. I hope that in some way wood-firing will play a part in my future, and who knows, I might even become just that little bit more gnarly. Gnarly Dudes Revisited took place at The Barn Pottery, Moretonhampstead on 18th-19th April 2015.